Watson Diesel Repair welcomes you to come visit our ever expanding Retail Parts Shop and Service Department. We aim to please the needs of our diverse customer base which ranges from small automotive and diesel trucks to diesel motor homes, school buses and log trucks. 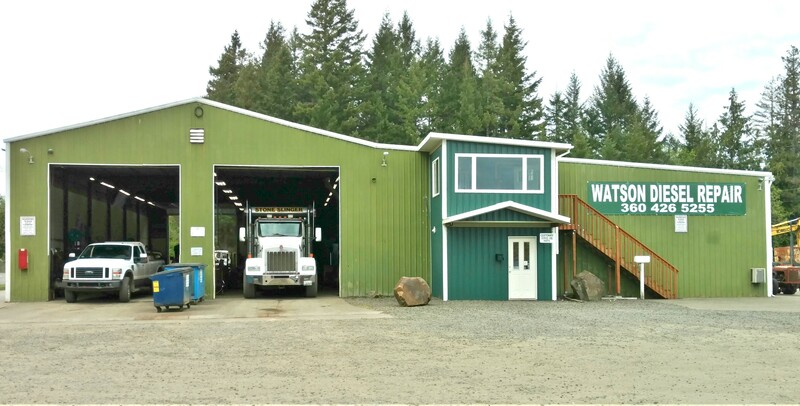 Conveniently located on Highway 101, Watson Diesel Repair is at the gateway to the Olympic Peninsula. Located in the former location of Morgan Trucking. Our diesel engine customers come from Olympia, Centralia, Yelm, Shelton, Montesano, Elma and Aberdeen and the Grays Harbor Area in Washington State. Keep an eye on our growing retail parts department in Shelton Washington. We will help you find the right part with expert knowledge on Diesel Engine Parts and much more.